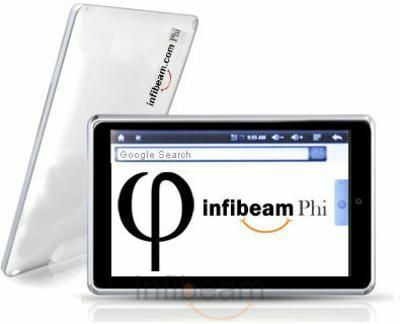 Infibeam Phi is an incredible 7 inch touch screen media device. 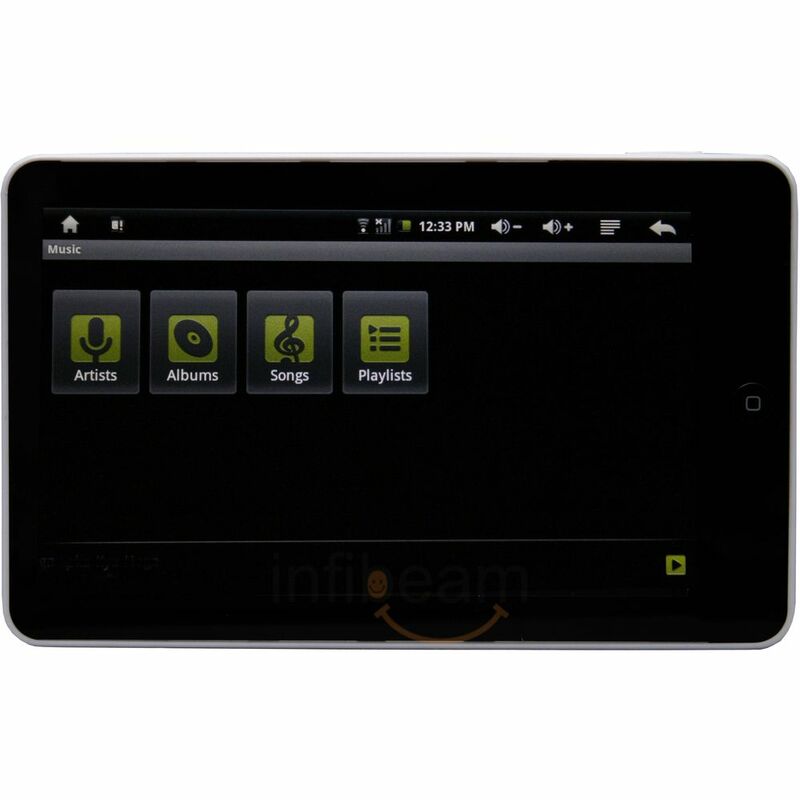 Now get education, entertainment and much more at your finger tips with Infibeam Phi. 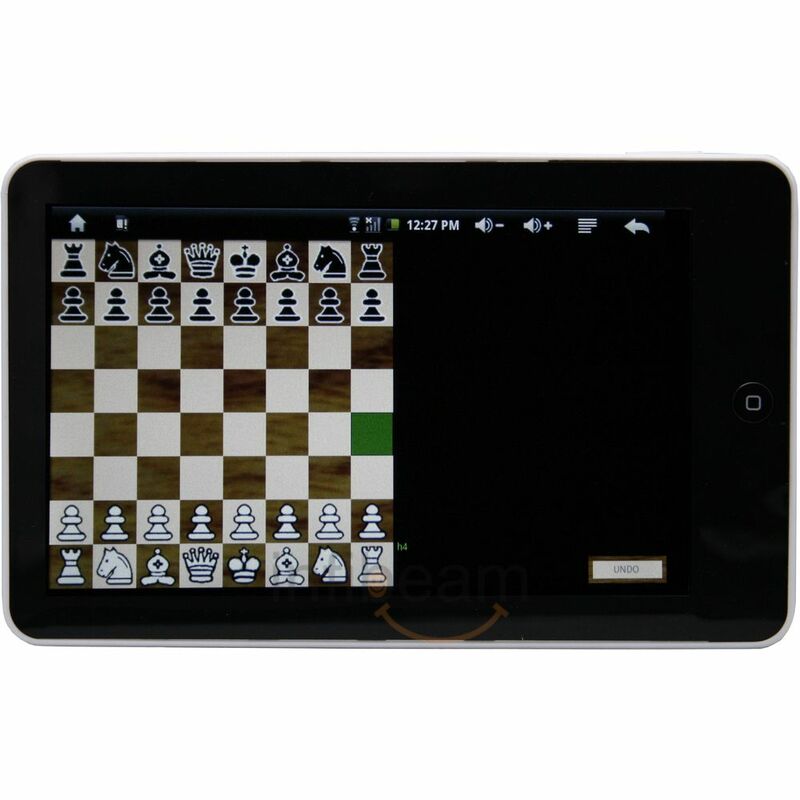 Phi comes with 8GB inbuilt memory and one can download any application from the Android market. Its fun for kids to read animated story books and we hope you like it as much as we do. Tabletop PC :The Phi is a tabletop PC and you can take it anywhere you go by placing it in your pocket. You do not require keyboard / mouse or any other accessories to operate this device. Watch Videos Anywhere & Anytime :If movies are your life then Phi is the answer. It allows you to store / download videos or movies so you can watch them anywhere. Listen to Music :Now listen to music on the go with the Phi. Store / download music and enjoy good music anytime anywhere. View Photos :The Image Gallery is ideal to recall beautiful memories. Wireless Internet Surfing :Surf Internet from anywhere using wi-fi. Download videos and music from Internet and enjoy them at leisure. Chat with Your Friends / Family :Phi is messenger enabled to help you keep in touch with friends / family. Play Games: Install Flash/Android Games in Phi and play them. Not only eye-catchy look, iBall Slide Brace X1, embraces amazing features that an advanced tablet should! Micromax Canvas Laptab – the latest rage among youth with its power-packed performance! last week order this one and after 2 days it was in my hand...great , fast delivery..